Grand Scheme Promotions will be releasing the new EP by R.O. “The City” in 2018. R.O. 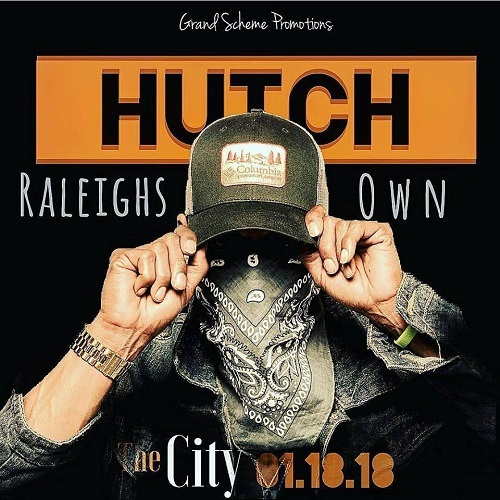 Hutch which stands for Raleigh’s Own Hutch is one of the hottest rising artist in the game right now. Currently looking to make huge splash in 2018, he releases the offical artwork and tracklisting to “The City”. R.O. Hutch will have the current fan favorites with songs such as “Shine”, “and No Mercy”. Production includes bangers from Lexi Banks, Razor Razy, and Major League Sounds. Also, be sure to check out www.ROHutch.com!! !